Sears saves the day! Many of us are running a muck trying to find the perfect last minute gift… I have been on the hunt for sweaters, P.J.s and belts. Finding the right size, color, cut was beginning to drive my batty until I walked into Sears. They still have a beautiful selection of all kinds of clothing and accessories. Before I knew it, I had found everything left on my list with cash left, so I spoiled myself a bit too… but you have to hurry!!! The Sale ends Tuesday, December 23, 2014! 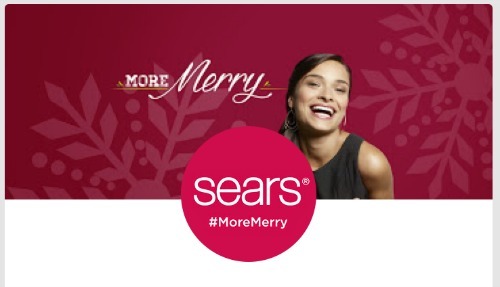 Last Minute Holiday Savings At Sears Will Save The Day And Your Wallet! Pajama Sets: So many to choose from and starting at just $9.99!!! I bought some for the whole family! The JoeBoxer footed p.j.s were so cute, I know that the boys will LOVE them! They are always pretending to be animals and now they can drift off as their favorite critters. Sweaters: Another amazing deal! Men’s layering sweaters as low as $11.99… I bought my brother 3! For my mom I bought, a bohemian soul, the Metaphor Flyaway Cardigan Sweater for $23.99 and for myself a Canyon River Blues Cowl Neck in the most beautiful blue for $16.99, I just couldn’t resist! Belts: Belts, belts, and more belts! I went accessory crazy! Personally, I love how a quality belt makes a subtle (sometime not so subtle) statement about how one completes and presents themselves. They can be whimsical and fun or all business… Sears has such a great selection for the whole family (prices stating at just $6.99!) that I bought at least one for everyone. Previous articleTech Gifts Ideas From iLuv Any Geek Will Love!